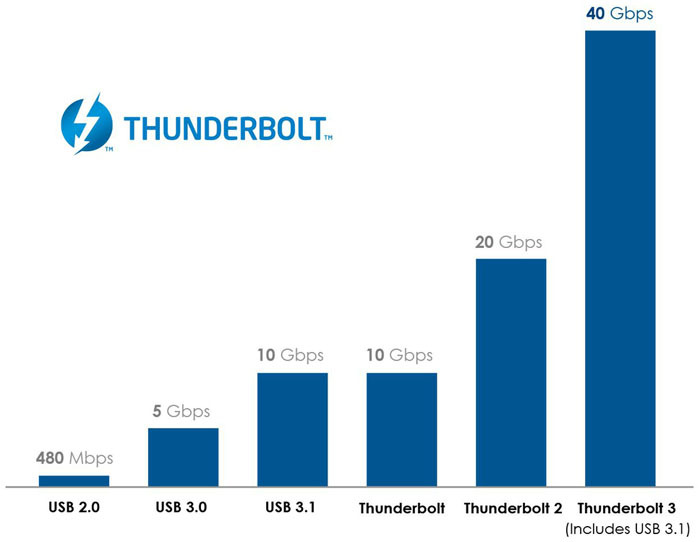 Thunderbolt 3 doubles the speed of Thunderbolt 2 to 40Gbps, allowing high-speed transfer of large files, as well as support for high-resolution external monitors. Intel notes that the standard supports the simultaneous use of two 4K monitors at 60Hz. While the development strengthens the case for USB-C, it’s unlikely that Apple would adopt the radical single-port approach for MacBook Pro machines, where it’s common for professional users to connect multiple devices simultaneously. We’re most likely to see the existing Thunderbolt port replaced with one or two USB-C ports with Thunderbolt capability.